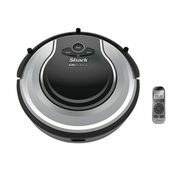 Canadian Tire Canadian Tire Merry Madness Sale: Shark Ion Robot Vac $300, Mastercraft 400-Pc. Socket Set $200, Skyworth 40" LED TV $200 + More Merry Madness Sale! The Merry Maddness Sale is happening once again this week at Canadian Tire, and you can view the flyer here on RedFlagDeals! Head in-store for discounts on last-minute holiday gift ideas including toys, appliances, and much more! Also make sure to head in-store on December 13, because you can receive a $50.00 promo card with you spend $200.00 or more before taxes! If you're looking for even more deals, be sure to check out Canadian Tire's weekly flyer, running through December 20! This flyer is effective from December 13 through December 24 at all Canadian Tire store locations (unless otherwise stated). Certain items are also available via Canadian Tire's Pay & Pick Up tool, where you can pay for your items online and pick them up in-store to avoid line-ups, without any additional charges. You can also check if you're eligible for home delivery, now available in most areas for an extra fee.